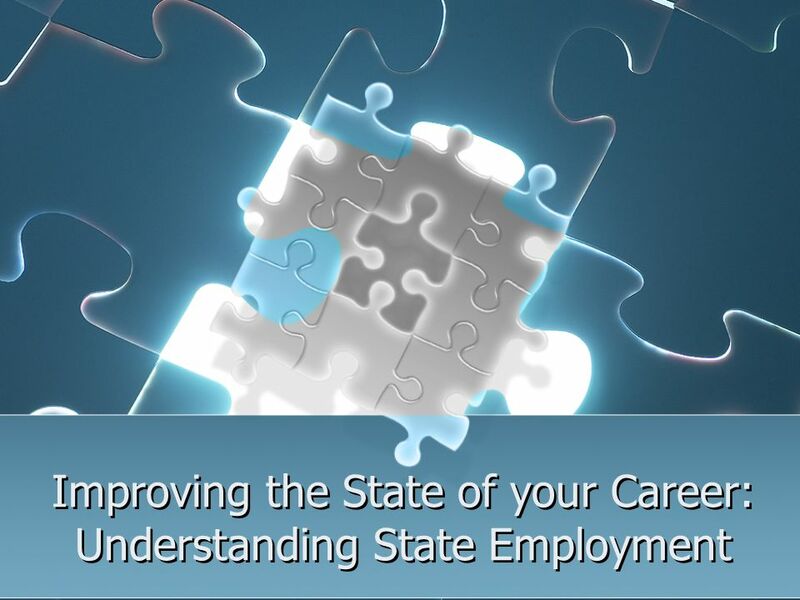 Improving the State of your Career: Understanding State Employment. 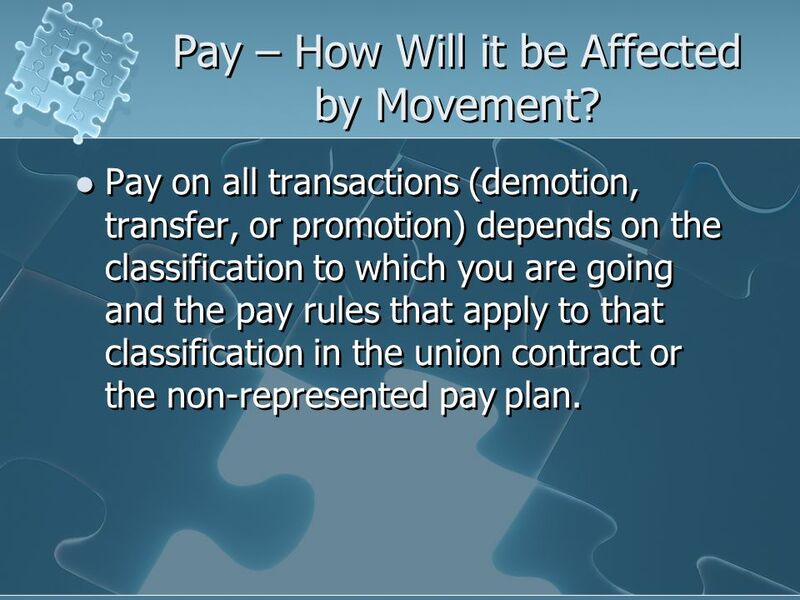 13 Pay – How Will it be Affected by Movement? 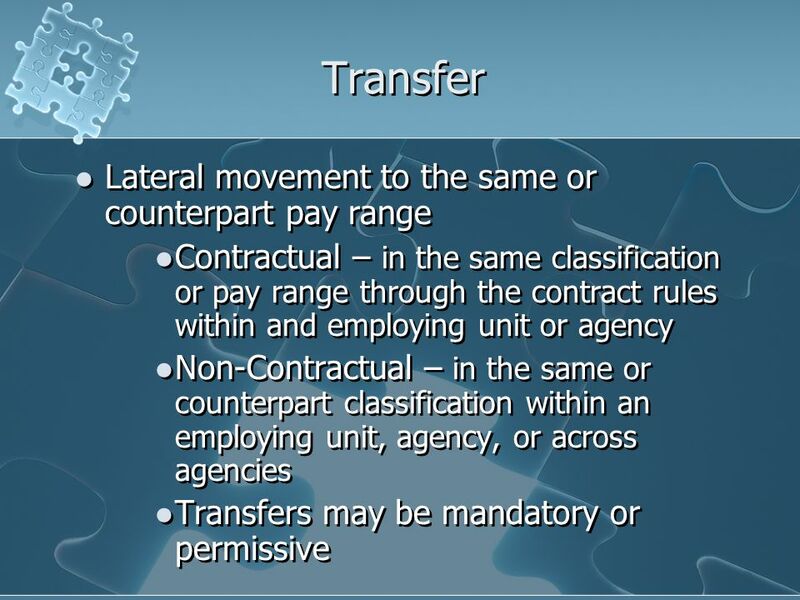 Pay on all transactions (demotion, transfer, or promotion) depends on the classification to which you are going and the pay rules that apply to that classification in the union contract or the non-represented pay plan. 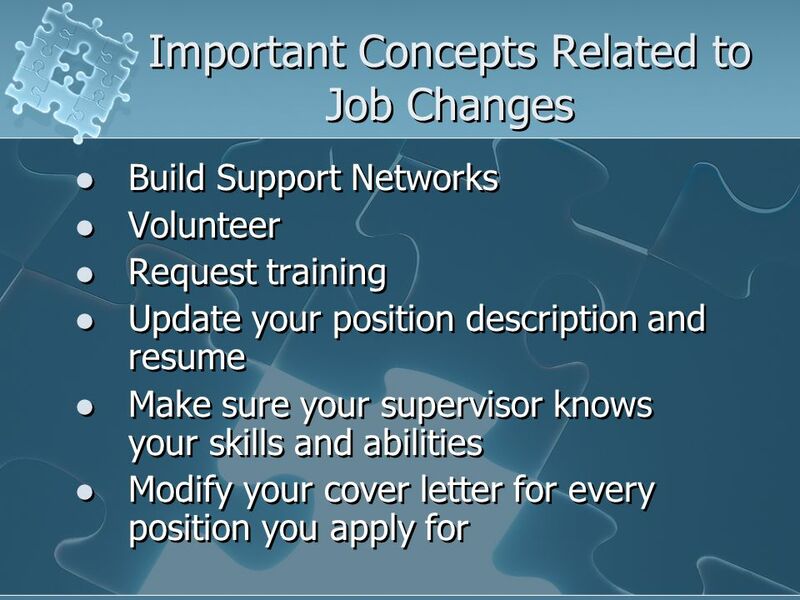 16 Important Concepts Related to Job Changes Prepare yourself by taking civil service exams Consider non-traditional jobs Ask questions Read job announcements Interview (behavioral based interview questions) Most importantly - DO SOMETHING! 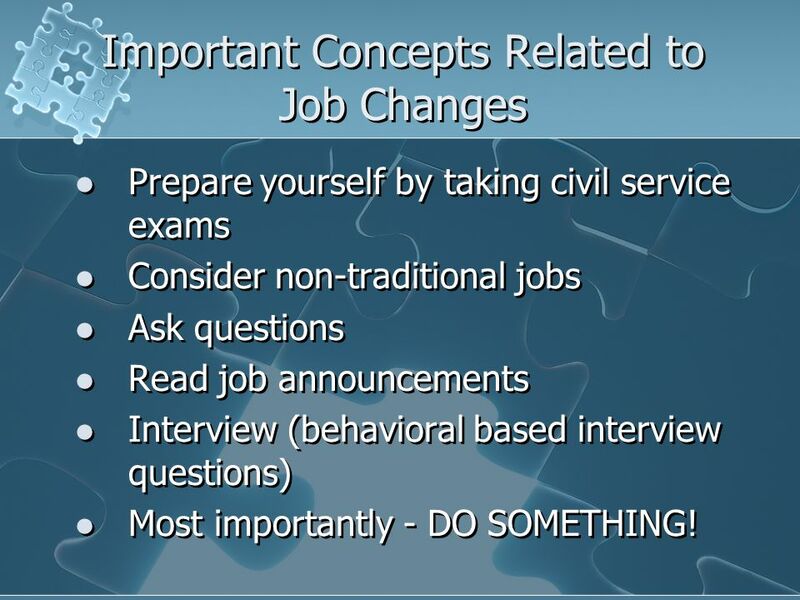 Prepare yourself by taking civil service exams Consider non-traditional jobs Ask questions Read job announcements Interview (behavioral based interview questions) Most importantly - DO SOMETHING! 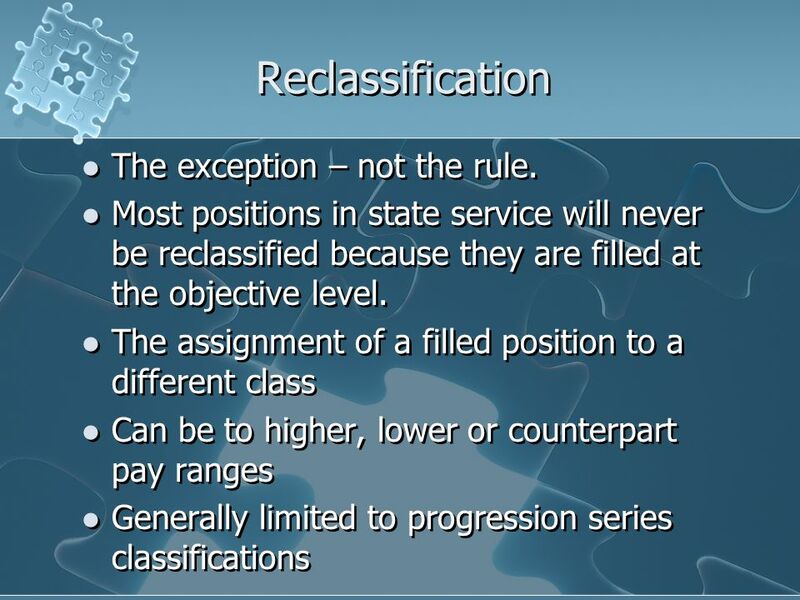 17 Before Accepting a Different State Job Recognize that job seeking is a “two- way street” Know the impact on your pay and benefits – ask questions Find out if you will be serving probation Will you have reinstatement or restoration? What do you need to do if yes? 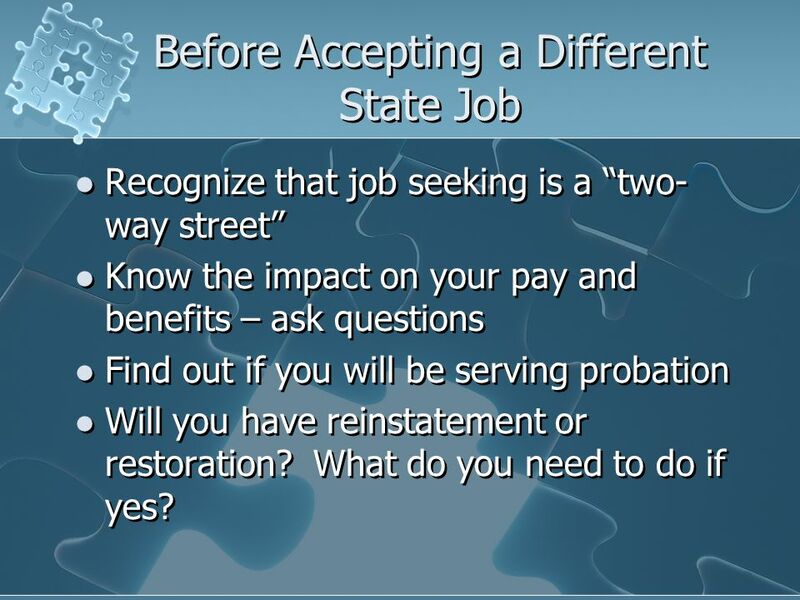 Recognize that job seeking is a “two- way street” Know the impact on your pay and benefits – ask questions Find out if you will be serving probation Will you have reinstatement or restoration? What do you need to do if yes? 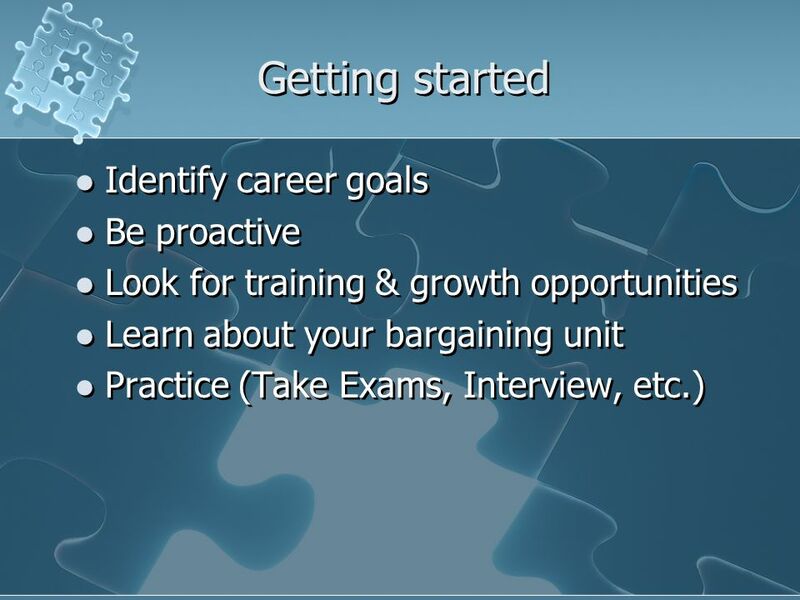 Download ppt "Improving the State of your Career: Understanding State Employment." 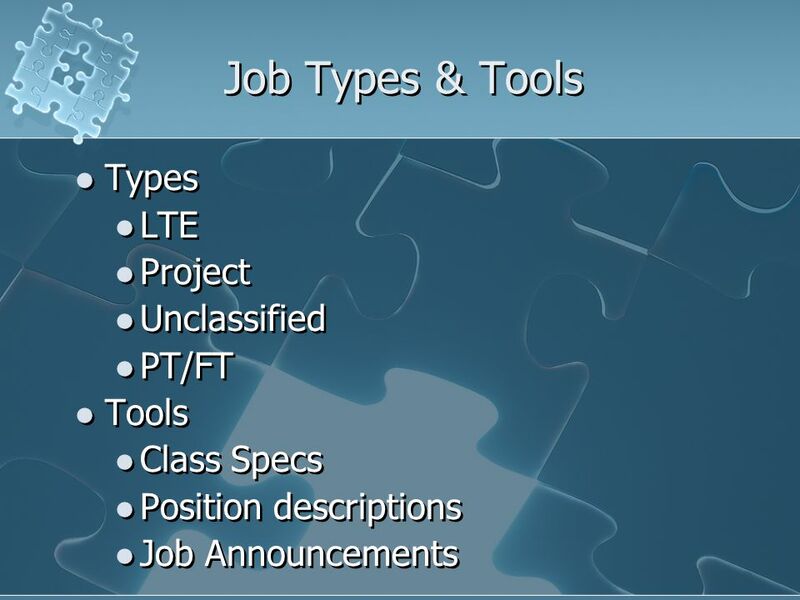 Interviews Completing Applications Scheduling Interviews Questions to Ask the Employer Your Rights and Responsibilities. 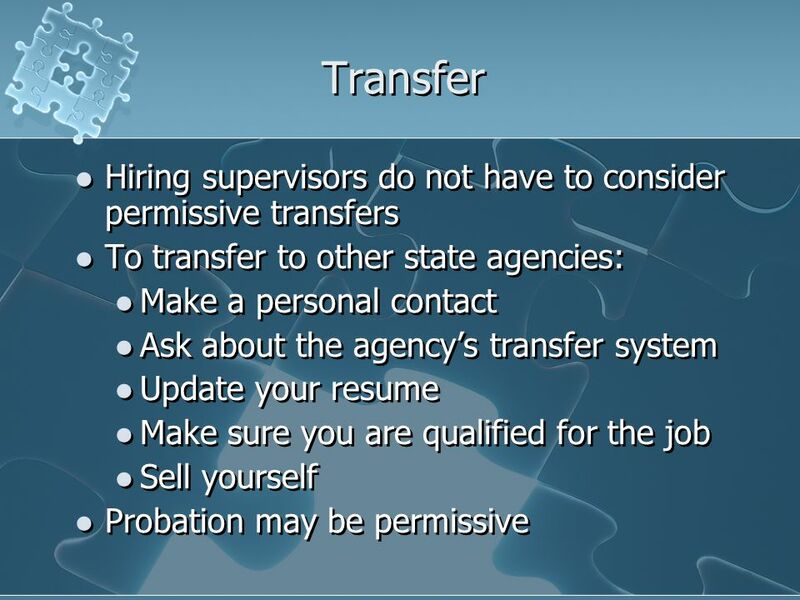 Federal Employment A How-To Guide.  Work interests  Skills I can offer  What rewards do I expect  Who can help  How can I sell myself. MISA Conference 2014 Human Resources Update MISA Conference 2014 Human Resources Update. 1. 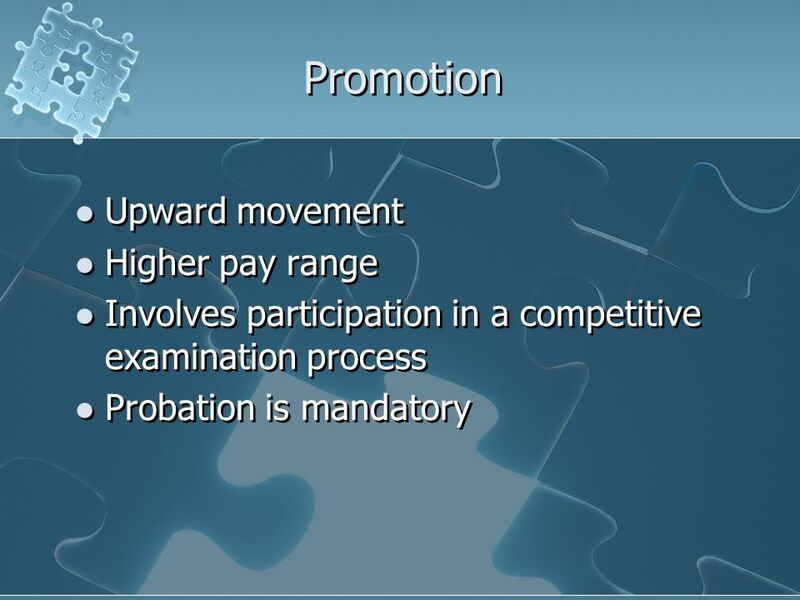 Employment Process - Objectives In the Employment Process training you will learn the necessary skills to navigate the employment process at ANR. How. 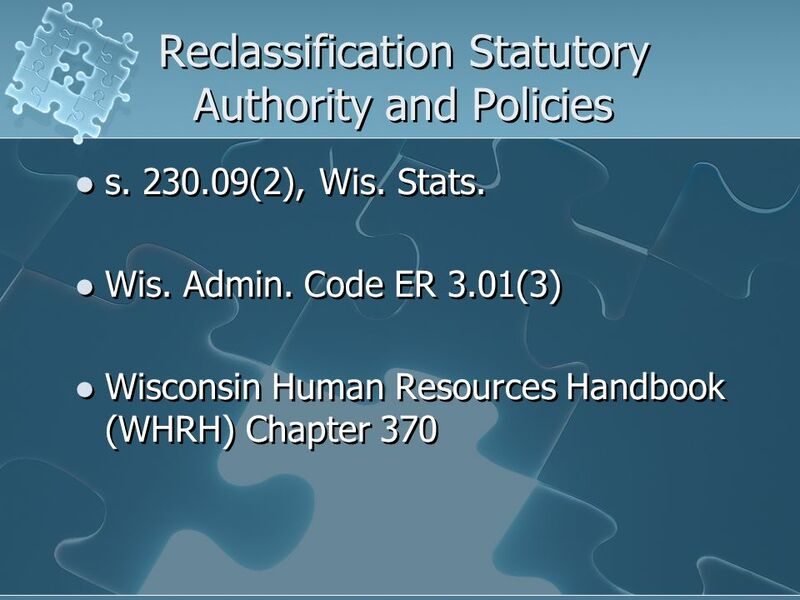 Civil Service Classification Overview: Job Descriptions and Job Audits UIS Human Resources Contact: Mark Owens. PAYING THEM RIGHT: TOOLS FOR SALARY ADMINISTRATION HR Liaison Network Spring Meeting Texas A&M University, Human Resources DIVISION OF FINANCE February. 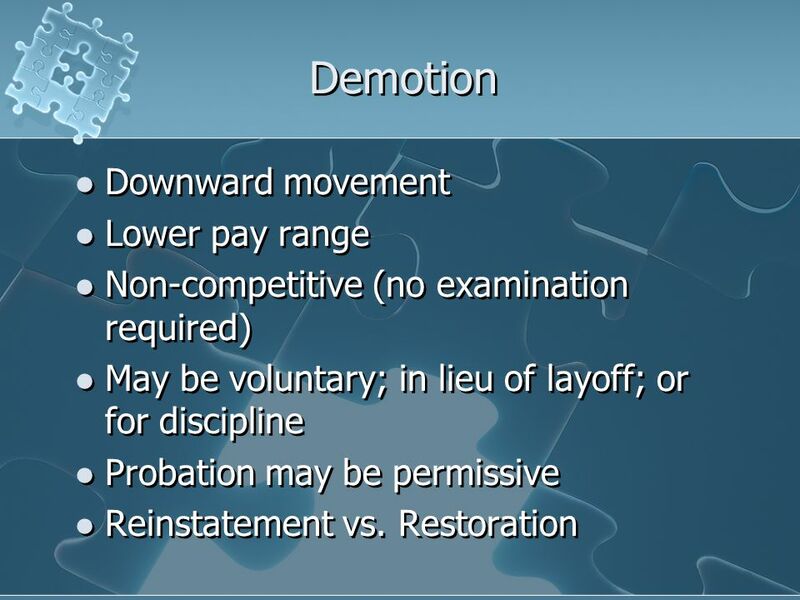 Reduction in Force Overview. 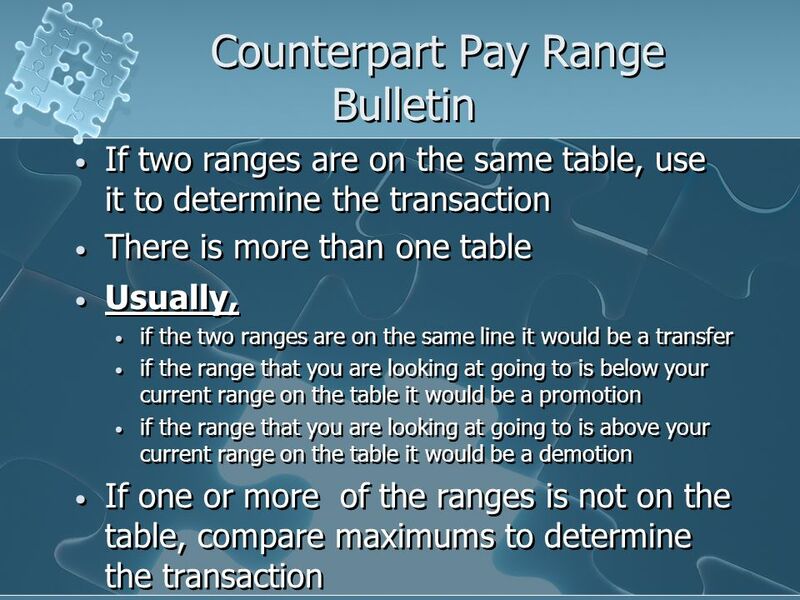 Revised June 15, January 28, 2009 Overview  Why is a RIF being considered  Points to Consider  Agency Requirements. LEARN Kyle Parsons Intern 2 Learn & Work Study Coordinator. 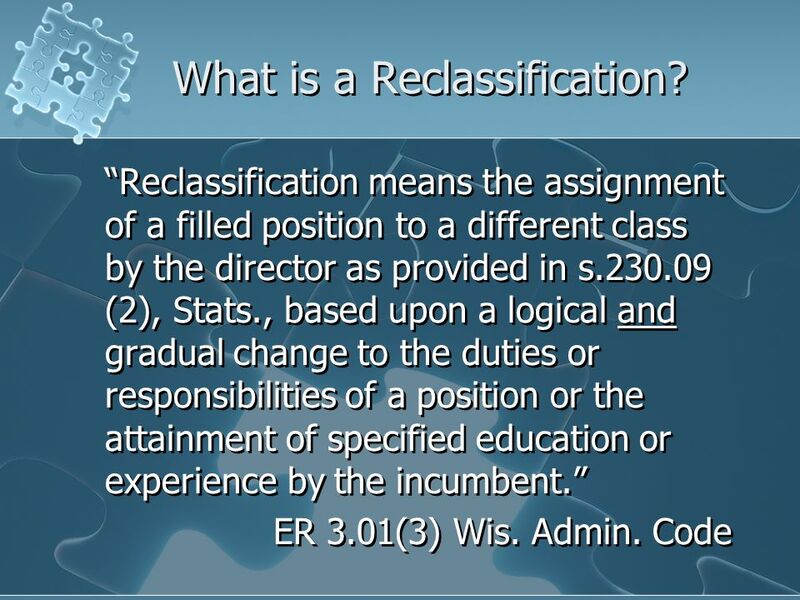 University Personnel System (UPS) Key Changes for Classified Staff July 1: It’s Just The Beginning! 1. Where excellence and opportunity meet.™ From Classified Personnel to University Personnel: What it Means for UW-Oshkosh. 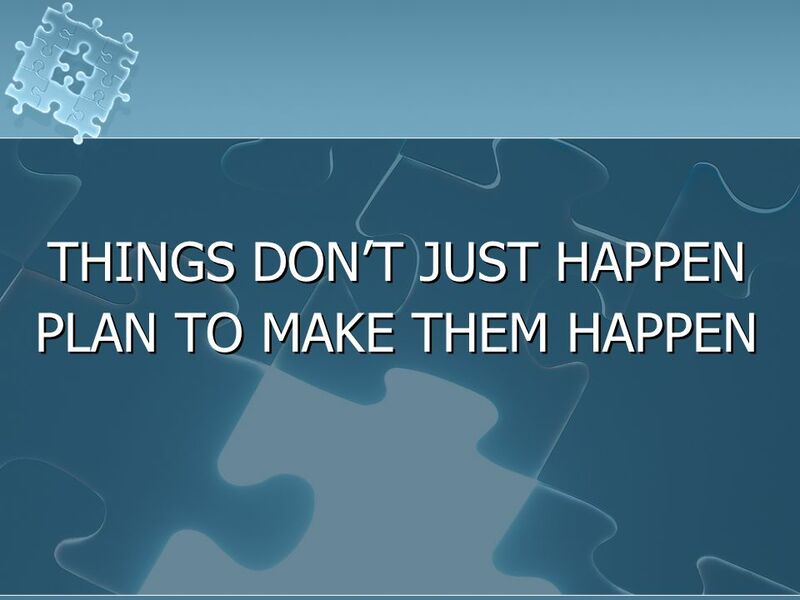 4.3 Apply for a Job Goals:  Identify ways to find out about job openings.  Describe the job application process. YES YOU CAN Find Your Dream Job Presented by Dr. Philip Weast February 25/26, 2009 Authored by Ms. Patty Kirkley. Civil Service: Friend or Foe to State Public Health Departments Patricia M. Sweeney, JD, MPH, RN Center for Public Health Practice Graduate School of Public. Volunteering & What It Can Do For You! Welcome Cynthia Johnson, Personnel Management and Classification Manager OFFICE OF STATE EXAMINER MELINDA B. LIVINGSTON, STATE EXAMINER. 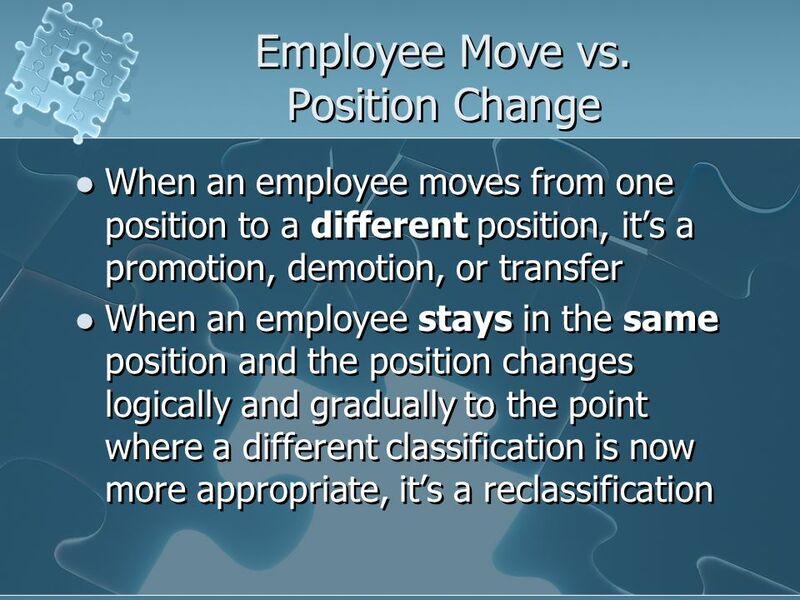 INTERNAL EMPLOYEE RELATIONS 1. 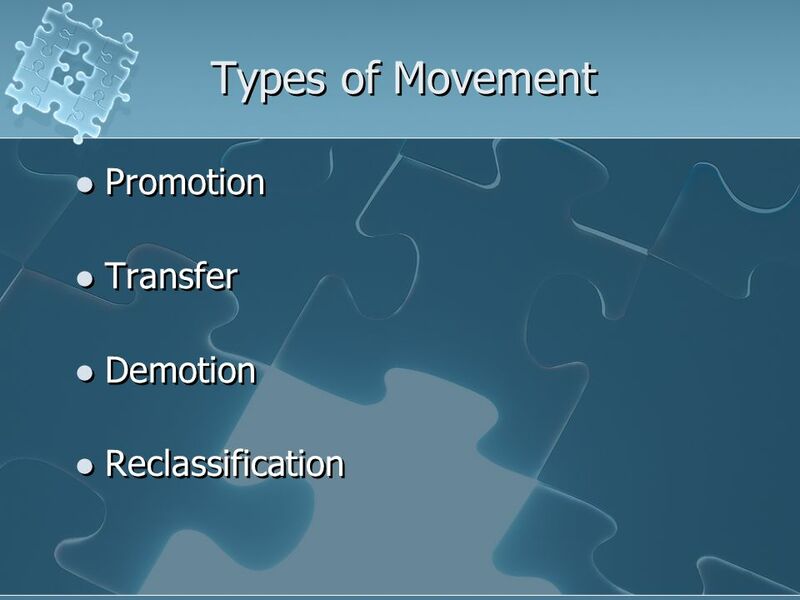 Chapter Objectives  Discuss the case for and against downsizing  Explain discipline and disciplinary action  Describe.